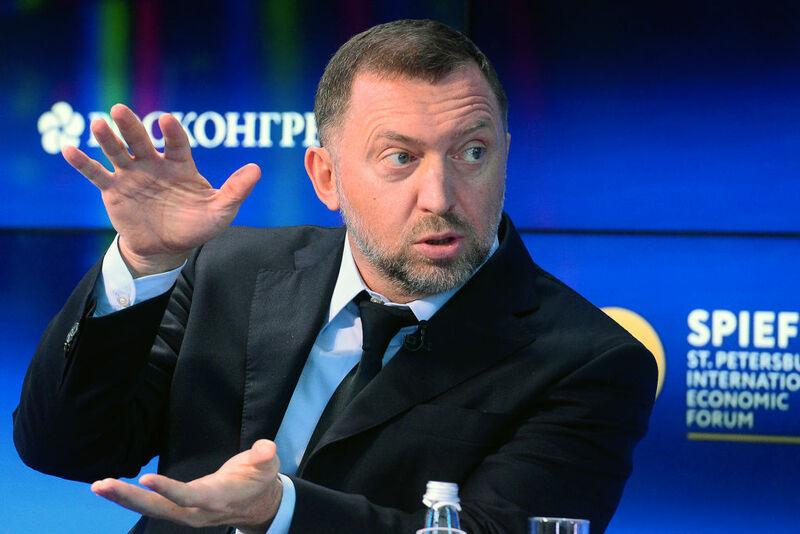 Russian oligarch Oleg Deripaska's $42.5 million mansion on the upper east side of New York City has been seized by the U.S. government as part of the sanctions placed on him. The 50-year-old is currently under investigation by the U.S. Treasury for his links to bribery, money laundering, racketeering, and murder. In April, the U.S. leveled its most severe sanctions at Deripaska's metals conglomerate. Americans are banned from dealing with companies including United Co. Rusal. This move caused Deripaska's empire, the largest aluminum producer outside of China, to lose half its value in one day. The sanctions bar Deripaska from participating in the economy of the global dollar. The impact of this was instant. International investors dumped stocks and bonds issues by Deripaska's companies and aluminum traders refused to buy metal from Rusal. Oleg Deripaska spent decades cultivating the U.S. and other Western business circles and the sanctions immediately wiped all that out. He may be able to continue to do business in Russia, but he has been crippled elsewhere in the world by the sanctions. Fellow Russian oligarch Roman Abramovich's ex-wife, Dasha Zhukova, and children have been reportedly living in Derispaska's Manhattan home. Dasha is a friend of Ivanka Trump. She and her son Aaron Alexander and daughter Lea Lou are all American citizens. Dasha and her family have vacationed with Ivanka Trump and Jared Kushner. Derispaska's New York home is a double wide, five story townhouse that was previously owned by art dealer Alec Wildenstein and his then wife Jocelyn Wildenstein. He has owned the home since 2008. Derispaska's Washington, D.C. mansion has also been seized. The FBI is reportedly looking into his assets abroad. Derispaska is a known friend of Vladimir Putin and told the FBI and U.S. Justice Department that their sanctions against him were "groundless, ridiculous and absurd" when they attempted to turn him against the Russian government and his former business partner Paul Manafort. Derispaska was one of at least six wealthy Russians who were questioned about Manafort. Paul Manafort is Donald Trump's former campaign manager who was convicted of hiding millions of dollars in payments from the Ukrainian government. Manafort was formerly a business associate of Derispaska. Oleg Derispaska is currently on an international blacklist that is usually reserved for terrorists, warlords, and human rights violators. His years climbing the ladder of the metals industry are filled with allegations that he ordered the murder of a businessman, bribed a government official, and has links to the Russian mafia. Russian billionaire Oleg Deripaska is suing the Treasury Department and Secretary Steven Mnuchin in federal court, demanding that the U.S. sanctions against him be lifted on the grounds that they are illegal and damaged his finances and reputation.